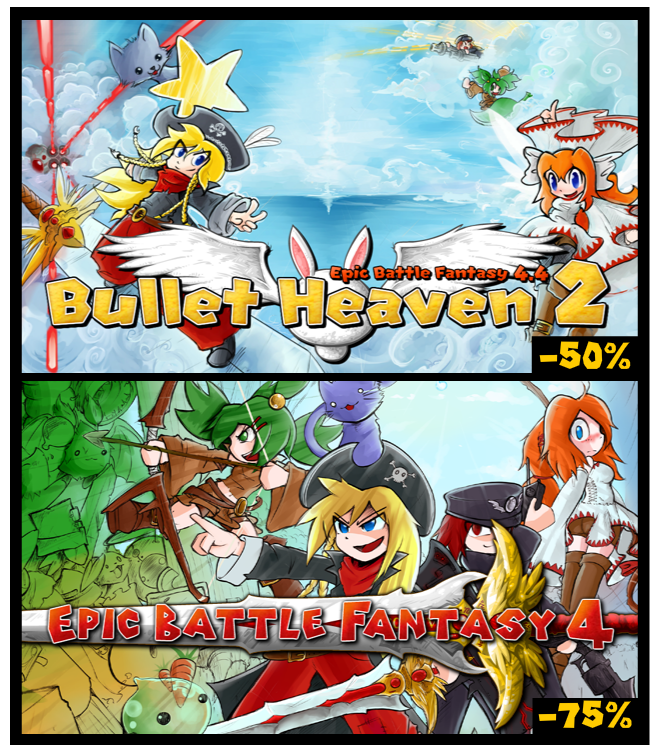 Epic Battle Fantasy 4 is 75% off and Bullet Heaven 2 is 50% off in the Steam Summer sale. My birthday is coming up soon so I can use the money to buy myself Legos. This entry was posted in Uncategorized on June 23, 2016 by Matt Roszak. I will gladly buy your games if you agree to use lego as a plural noun in future (like sheep). Well I already have both, but might see if any of my friends want either…or just spring a surprise on one! What sort of LEGO themes do you like? YOU HAVE TO BE KIDDING ME i spent my gift card i got for my b-day on these things a little less than a week ago and now they COST EVEN LESS?!?!?!!? sorry had to vent out welp… i spent 20 dollar on this. Steam usually lets people refund games if you buy them right before a major sale. So there’s a good chance you could refund them and buy them again for cheaper. oh thnks but i already did data will it stay?